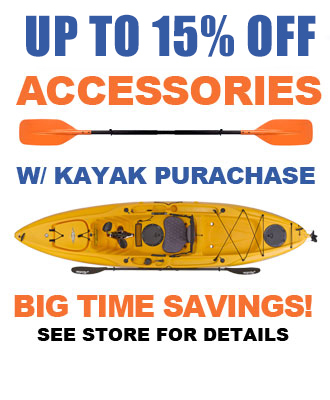 Nautical Ventures is the place to go for the latest in outfitting your Kayak or SUP. We carry a wide variety of fishing gear, electronic packages, lighting accessories, comfort & seating options, and much more. We’ll help you personalize your kayak or sup for extreme fishing, daylong excursions, night time paddling, or just about anything you specifically use them for. Anchors, coolers, fish finders, GPS devices, leashes, live wells, maps, measuring sticks, outriggers, rod holders and rod mounts, along with various power options – we have it all. Our knowledgeable sales team has the expertise to help you accessorize your Kayaks or SUPs. Talk to one of them today and be ready for anything tomorrow.